Ben-n-Terrys.com >> Lugers at Random by Charles Kenyon, Jr.
Book Details: This book serves as a reference and identification guide for Lugers. The cover shows no marks that I can see, the corners and edges look fine too. Nice book for the collector. Black & white illustrations. Measures 8 3/4” x 11 1/4” hard cover. 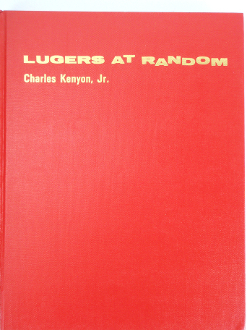 Lugers at Random by Charles Kenyon, Jr.